However, I’ve noticed that there is one group of Millennials that are buying cryptocurrency and another group that has no idea what it is. I was in that latter group recently so I committed to a three-part cryptocurrency series on this blog, where I asked three cryptocurrency owners to explain to me what the heck is going on. Thanks to bloggers Money Corgi, FIRE Millennial, and George for breaking it down for us in a series of guest posts. This is the first. 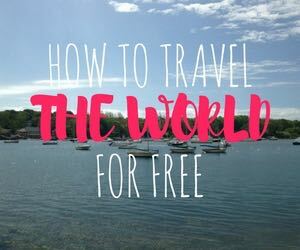 Today I’m sharing a guest post from FIRE Millennial. PS – Not invested in Bitcoin yet? Get started here with Coinbase. To begin, there were initial reservations. Particularly from a large amount of negativity expressed by people on r/FinancialIndependence. or, folks would simply get downvoted into oblivion. In general, I got the sense the general FIRE community snubs cryptocurrency and looks down on folks who put money into coins. For some reason though, I was interested in what this trend was. So, sub-reddits such as r/CryptoCurrency, r/ETHtrader, r/BitCoin, and r/Ethereum became subscriptions. 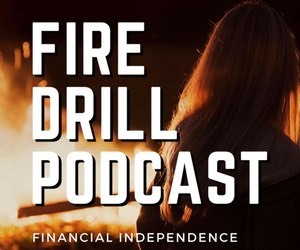 Additionally, Tim Ferris’ episode #244 – The Quiet Master of Cryptocurrency with Nick Szabo provided a great forum to listen to a crypto expert, who was able to explain the realm with ease to the lay person. After a month or so of research, I felt I’d gotten to the point of being able to explain the basics to someone who’d never heard of cryptocurrency or alt-coins. The research had developed a very basic understanding of the investment. I want to experience something that the next generation will talk about, and will most likely use a much more complex variation of what has started with Bitcoin in 2009. I. Where did cryptocurrency come from? 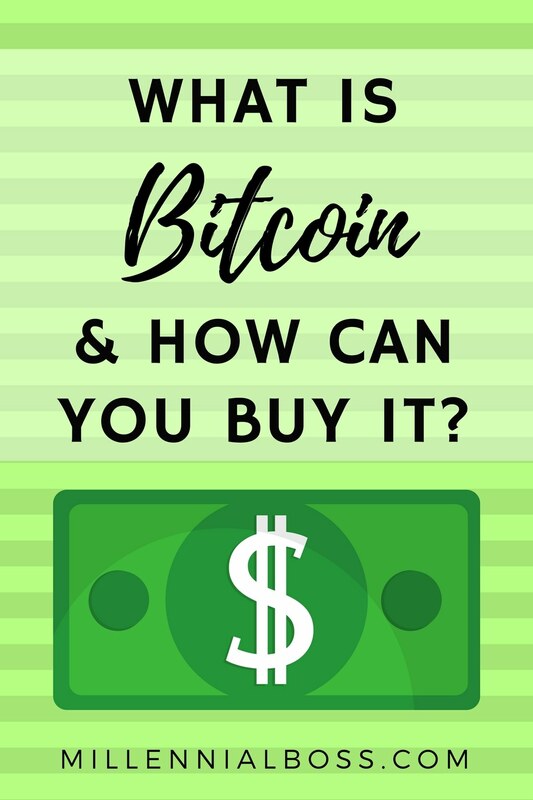 Cryptocurrency as we know it today began with Bitcoin in 2009 after the recession. A group of folks, who used the moniker Satoshi Nakamoto, developed a system using cryptography that can save the movement of a coin from its inception through a string of data joined together called blockchains. These blockchains contain information of an entity that owned the coin and at what price, along with information of ‘the who’ and ‘how much’ on the next transactional block. These blockchains contain the whole history of the coin in the code. II. What is the role of a miner in cryptocurrency? The ‘currency’ is decentralized, which means many individuals who mine the coins actually compare the coin data, and validate its accuracy among one another. Each miner is responsible for running the server that validates the transaction, and acts as a regulator for the currency. Each blockchain that is verified by these miners pay them a fraction of the transaction cost. They are the one who ensure the ledgers are correct. Going back to the recession, this cryptocurrency was born out a generation who distrusts the major global financial system, and has the ability to program and develop a technology that can somewhat self-regulate itself through decentralized participants. III. What is the difference between the different types of cryptocurrency? The coins that folks hear of, such as Bitcoin, Dogecoin, Ethereum, Ripple, ZCash, Monero, etc. are all developed by different entities and teams. The coins have different applications, and are coded in different ways. For example (and pardon my crude understanding) Bitcoin is developed in a way to simply handle currency information, whereas Ethereum’s code has the ability to run programs in its blockchain. Through Ethereum’s code, a user can utilize ability’s unique to the coin and different from others. Each coin is programmed slightly differently, and has the ability to have different applications. IV. What are initial coin offerings? As of August 2017, it seems as if the cryptocurrency market is in some sort of bubble-ish, extreme-bull market. Hundreds of new coins are created, and put on initial coin offerings (ICO) to sell coins before they go public for investing. One major issue with these ICOs is that scammers are creating new coins, and dumping them in the market to make investors purchase their new coin, but then the coin is of no substantial value and the developer simply runs off with the investment. V. How do you purchase a cryptocurrency coin? To purchase a coin, there are a variety of exchanges, which act like brokerage firms. Some exchanges offer to trade in some sort of coin, than others. It is imperative to research the firm you choose to buy through, to validate they are somewhat safe to buy and sell through. Of course, this technology is new and is therefore prone to hackers who will steal all your money. So you will want to store your information in a wallet; either a soft wallet or hard wallet. VI. Why do you need to purchase a wallet for cryptocurrency? Many in the space say it almost imperative that an investor purchase a hard wallet, that acts as a USB stick, to save your private key on. This is in case there is a major crash on the internet exchanges and folks are unable to access their private keys. This happen in 2013 in an incident called Mt. Gox. A soft wallet on the other hand, means the information that proves you own a Bitcoin is scribed on a piece of paper. For the love of all that is good, don’t lose this piece of paper! The type of information that is stored in a wallet is you personal, private key, and the public key to the currency. Additionally, this wallet acts as a personal ledger for the transaction. You never really own a coin, you own the key to the coin. No key, no coin. Why am I Buying Cryptocurrency? Other than making money hands over fist – which in all likely hood will not happen to me – cryptocurrencies offer a chance to hedge my investments. There are commodities, stocks, bonds, metals, etc., and now there are cryptocurrencies. That which fiat currency has to its name is belief in a currency. The US Dollar was taken off the gold stand in the 1970’s and is now tied to a credit system. I mean, c’mon. If we believe that a fiat currency is going to survive, I don’t understand why I can’t believe well developed, sustained decentralized and self-monitored cryptocurrency can’t act as a long-term exchange of money. How Much of My Net Worth is in Cryptocurrency? I put a minimal amount of my total Net Worth into the few coins. Enough to get into some of the cryptocurrency’s with somewhat longer track records, sizable portions of the market cap, investment from institutional investors and businesses, and an expanding team to further develop. I have put in the time and effort to understand and develop a philosophy as an index investor, now I want to jump into some fun speculation! Who knows, what if I am able to get some nice returns? If anything, I get to FIRE sooner. If not, I learned a new market, and can apply this knowledge and skill set to learning another market! So, what has my experience been like? Well, I opened a Coin Base account and bought the three currencies, about $300 worth split between the three. Unlike the traditional stock market, the cryptocurrency market operates 24-hour’s a day, 7-days a week. So, there are always trading opportunities. Prior to buying the coins, I did some introspection and had to honestly answer the following question: “Will I be fine with my choice if the crypto market goes to zero tomorrow and I never see this $300 again?” Obviously, I answered yes, because I wanted to learn about the market and have incentive to pay attention. It has been pretty fun to be out at the bar on a Friday night and see my Bitcoin holding has gone up in value 8%. Conversely, I’ve watched my Ethereum holding go down 10% over the course of a few minutes. Basically, it’s a very volatile ride. I’d always thought I was risk-averse, and holding these coins and checking their value whenever I want is solidifying that my risk tolerance is at the level I’d previously thought… still waiting to see what a market correction of 5% – 20% will look like with the rest of my portfolio. Do I Include Cryptocurrency in my Net Worth? I don’t include the coins as part of my Net Worth, or as part of my 4% Safe Withdrawal Rate. I don’t group CoinBase with my 401k, IRA, 457b, taxable brokerage account, or pension. I treat it as $300 spent. Heck, I even counted the purchase of the coins as an impact on my Savings Rate! This is a pure speculative, and dare I say gamble, that serves the purpose of fun. Eventually, I plan on getting more involved in other coins, but am purposefully choosing the take the long and slow route. There’s still research that needs to be done on safe methods of key storage, exchanges, and on what is and isn’t smoke. 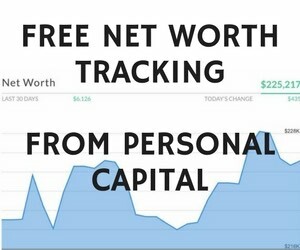 Also, if you have no idea what your net worth is, I recommend checking out Personal Capital and using their free net worth tool. I have the mobile app and personally check my net worth once a week. It feels good to see my net worth go up, especially after paying off $89k of debt. 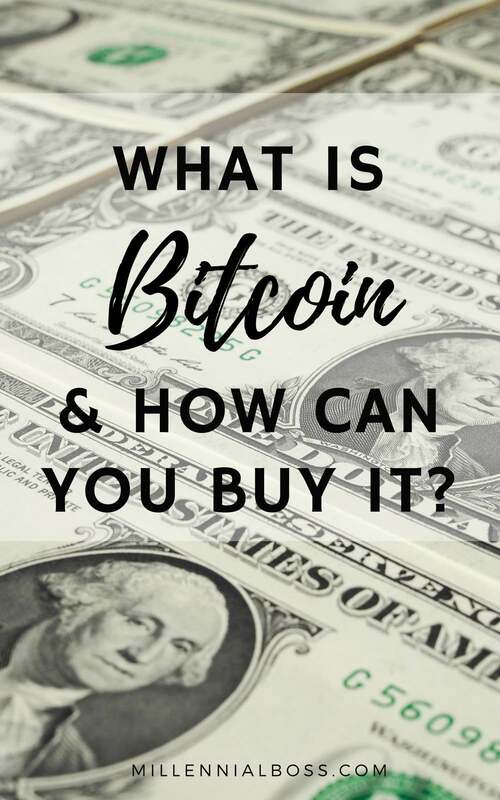 Do you own bitcoin or some other form of cryptocurrency? What do you think about it? Good write up! It sounds like you’re treating them about the same as me – as mostly speculation as opposed to an investment. I think it does make sense to include them in your net worth though — as you can instantly sell them on most exchanges for the current value. 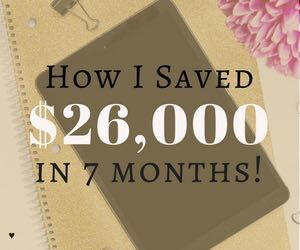 I’m doing the same and only investing a tiny bit (under 5% of my net worth). I’m tracking them using a Google Sheet though, which can go out and fetch the real-time USD value of BitCoin and Ethereum (ex: https://docs.google.com/spreadsheets/d/1h14x_NMf0zFUFONLMvfXynNryQvlKOP77f8uKQoY5kc/edit#gid=0 ). I just got into cryptocurrencies a few months ago. Your post has great information. With this investment, I try not to look at it everyday because it’s so volatile yet so exciting. It is super exciting. I haven’t bought in yet but I’m grateful to the guest posters for sharing their stories. Ok…I should have read this before I commented on your third post about bitcoin hahaha. I like the way you are going about this. It sounds really appealing to use minimal cash to speculate, and maybe make some money on the way. 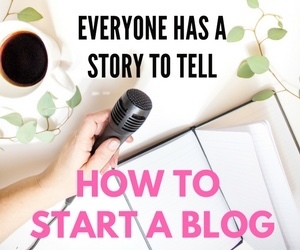 javi recently posted…Brand new blogging tips for noobs like myself!